Blog - Give the gift of luxury to a graduate. Give the gift of luxury to a graduate. This time of year, sees many people graduating from colleges and universities to start a new chapter in their life. What better way to celebrate this very special day than to give the graduate a gift of luxury? 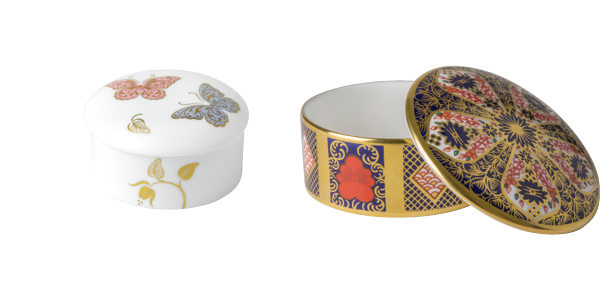 Royal Crown Derby have a wide array of beautifully handcrafted giftware, take a look below for a special selection perfect to give a recent graduate in celebration of this momentous occasion. 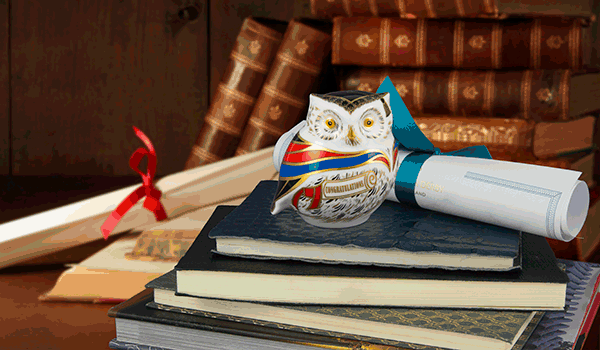 Featuring finely crafted detail encompassing the graduation gown, mortar board and diploma scroll with a message of "Congratulations" the Wise Owl is a wonderful gift to give to any graduate. In bold colours of red and blue, hand finished with 22 carat gold it is a perfect gift to celebrate this landmark occasion. With the recent graduate about to start a beginning in their lives possibly in the the workplace an ideal gift of a fine bone china beaker to take to their first day is a perfect graduation gift to remind them of this very special life stage. 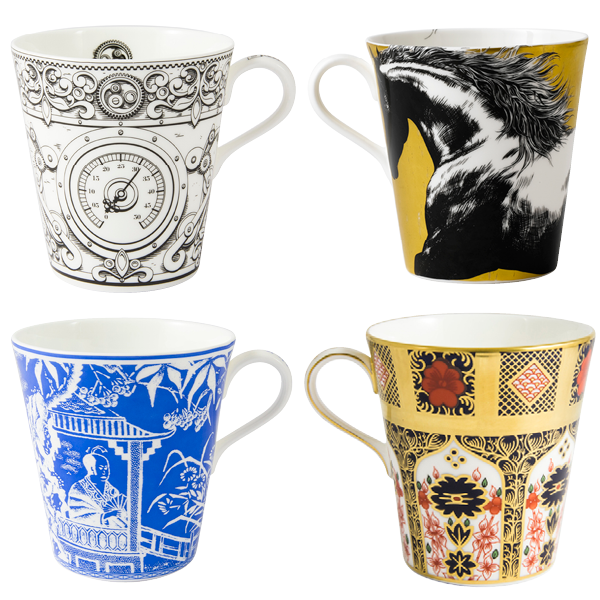 Royal Crown Derby have a wonderful selection fine bone china beakers sporting some fantastic patterns from the monochrome engineering inspired Steampunk pattern to the bright pop colours of the Mikado design there is something to suit every taste. Take a look a selection of fine bone china beakers perfect as a gift for a recent graduate. Royal Crown Derby have wonderful selection of beautifully handcrafted fine bone china giftware perfect to celebrate any special occasion, to view our full range please click here.